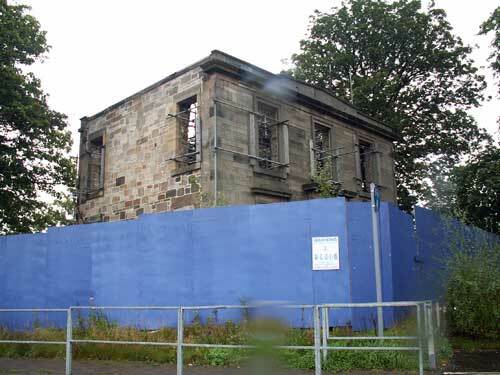 Dunno if this is the right place, but i was wondereing if anyone knew anything about the derelict building thats next to B&Q Braehead, its on the road back to govan, at the mini roundabout thats next to ikea, i noticed it today in the car with the gf. Is it not something to do with the dock right behind it? I believe the derilict building is something to do with the docks, however, it must be pretty close to where the railway line used to run down to Renfrew. yes ! wot is that bldg? hello ! this is my first post and thank you for accepting me. decayed a bit since then. This was from an earlier off forum discussion a while back about Shiels Farm. glasgowken wrote: Was this a working farm ? Pgcc93 wrote: The house in question is the one above the farm buildings in the trees. It's got scaffolding and wooden hoarding surrounding it today. yoker brian wrote: Foss - sorry its a bit rushed - the 1864 map is a bit poor to use and line up properly. So here's one using a 1915 map. The building that is at Braehead is marked Shiels. - possibly the name of the farm. Braehead farm is at the extreame left of the picture. This is before KG5 docks were built, and the river was widened. I read somewhere, maybe on this site that Costco are looking at it. you all are GREAT!! thanks for all of your hard work! now does anyone know the history of the family? scottishyank wrote: you all are GREAT!! thanks for all of your hard work! now does anyone know the history of the family? 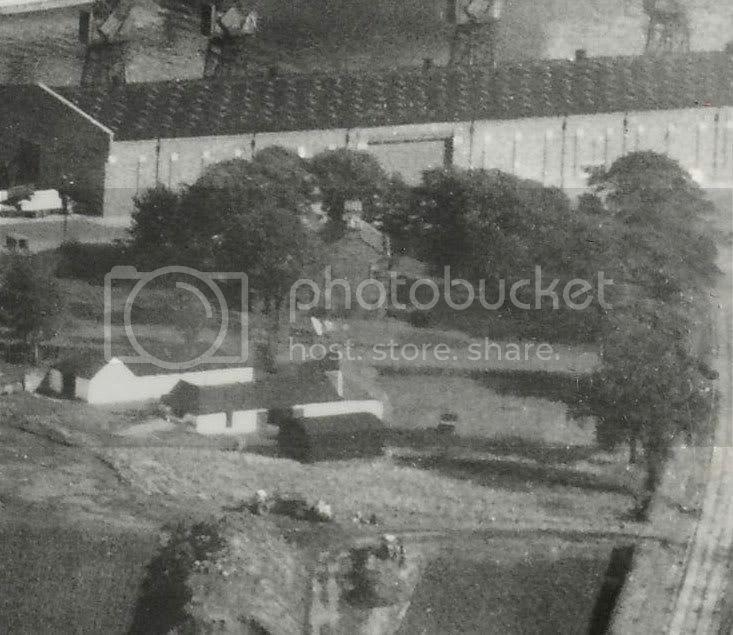 the aerial shots were taken in the 60's and there wasn't much else on King's Inch Rd at the time so it wouldn't take a great deal to get started. Old telephone directories / voters' rolls etc. are available to view in the Mitchell. The farm's books may also be archived somewhere if it was run as a ltd company. 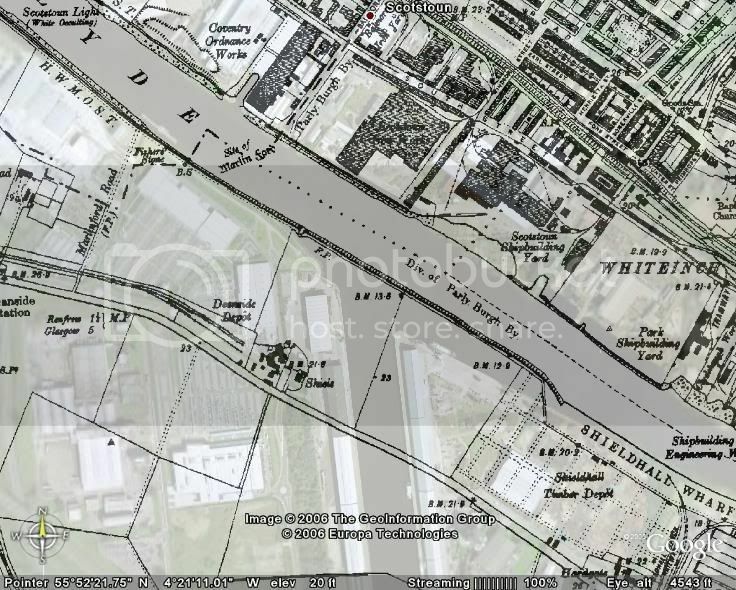 The whole Braehead Shopping centre used to be inside Glasgow's boundaries (apart from the last 2 tills in Sainsbury's and the Petrol station) until the boundaries were redrawn fairly recently making the KGV docks the city limits. Again , Thanks for all the input! When I began my search of this Bldg, I emailed Park-lane and they know this bldg. as the Butterfly Farm. Does anyone know anything it being called as that? Maybe something going on in one of the prior pics of the farm and those out bldgs? which this falls in to ward 30 and on page 119 is the house and property is listed and the tenants name is a thomas fulton listed as a farmer, and i believe the owners of the land is the glasgow & paisley joint railway..